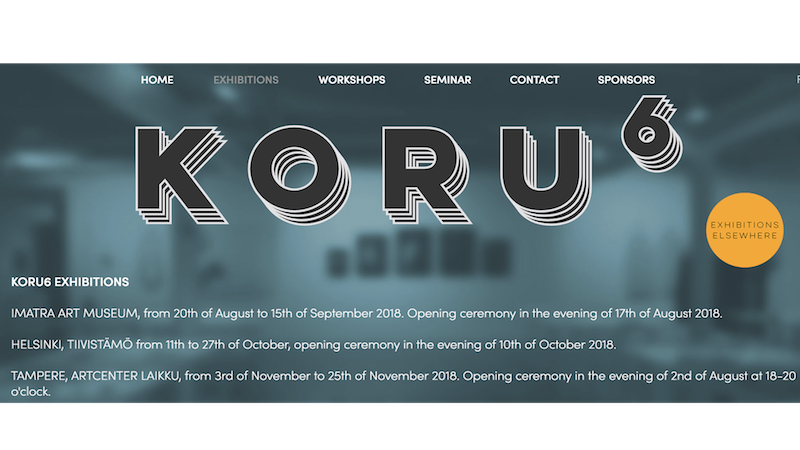 KORU 6, Finland is an international contemporary jewellery triennial organized for the sixth time. The event is organized by the Finnish Jewellery Art Association. The main purpose is to widely present international contemporary jewellery and bring together artists, lecturers, researchers and people with interest in contemporary jewellery to take part in the exhibition, seminar and workshops!